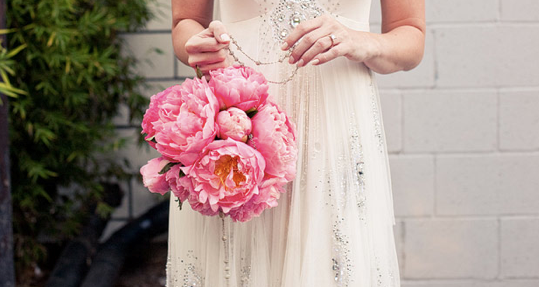 LOVE peonies! I wish they grew in So Cal... I had them in my wedding... one great thing about getting married in the spring and on the East Coast! Great photo! I loove that peony pomander. I've made a few paper peonies, so these days I'll try to make a peony sphere - - - a pretty inexpensive version of the real thing, and much more durable (and still "greener" than one made of plastic flowers). 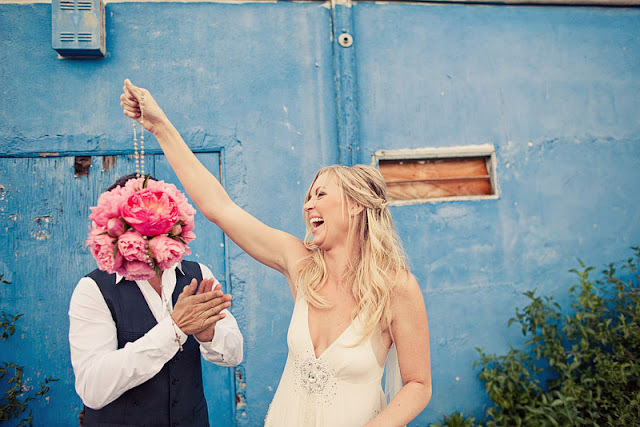 get married have to think in the roses of the ceremony. That is a beautiful arrangement, I'm sure every bride would dream of having one of those for their wedding. Those pictures are actually pretty impressive. The colors the woman there. She adds something special to both of those pictures.